Manila North Cemetery, you have never seen a cemetery like this, I promise! Manila North Cemetery, a Morbid City? Manila North Cemetery is like no other, if the thought of visiting a cemetery does not enthuse you that much, then you may want to rethink and give the Manila North Cemetery a try. 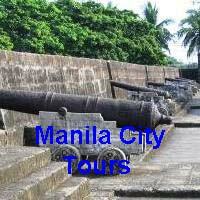 Here you will be treated to a unique historical and architectural tour which is uniquely Filipino. But more than that, you will be treated to a truly unique sociologically deviant environment. Make sure you wear comfortable walking shoes when you visit the Manila North Cemetery. 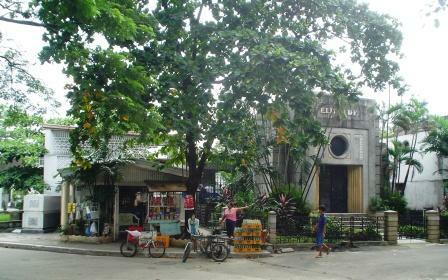 As you enter Manila North Cemetery, one of the oldest cemeteries in Manila, you will find the usual tombs, mausoleums and crematorium. There are also the apartment type tombs in the cemetery which are located on the outer parts or inside small side streets. Yes, there are actually streets here in this cemetery. In fact it is like entering into a new city. But we will get to that later, which will be the adventure part of this trip. In the meantime, you will notice that there is really nothing typical about the tombs and mausoleums in this cemetery. Since it is one of the oldest cemeteries around you will notice the different styles from the different eras. You might also want to check out the graves of some of the past presidents, senators, heroes, artists and even actors of the country. From sight-seeing you now go to adventure. Here you might indulge yourself into checking out the neighborhood. Yes, neighborhood. 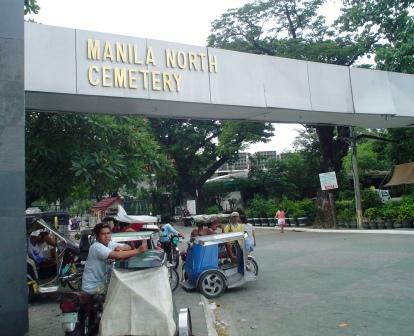 Manila North Cemetery is actually home to around 10,000 residents. So here you will notice that the living lives alongside the dead. This Manila cemetery has not always had residents but due to poverty many ended up living in Manila North Cemetery. The first living residents of the place were the caretakers assigned by owners of the various mausoleums. Then there were also those who inherited the mausoleums from their ancestors, who because of hard times chose to move in and live permanently in their family mausoleums. Others later on move in as squatters. So now, as you walk around the place you will get to see this one of a kind neighborhood. You will be surprised to see that there are small grocery stores, “carinderias” or “restaurant in the backyard”, barbeque stores and other treats. If you get hungry it is safe to buy food, but I would recommend you bring your own water. This playground is not for the feint of heart, here you can see children playing, not just on graves, but skulls and skeletons. All in all, you should not miss a trip to the Manila North Cemetery. You should also bring your camera. With what you will see, you can even make your own documentary of the place. As for getting to Manila North Cemetery, you can take the LRT and then get off at Abad Santos Station. From there you can take motorized bicycles with side car (tricycles or trikes) directly to the cemetery. Do you know where you are staying in Manila yet? 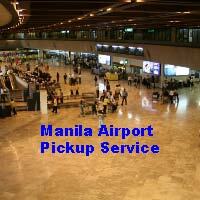 Have a look here for hotels in Manila that I have stayed at and reviewed.